Ladies’ Association of Conwell-Egan Catholic High School - Times Publishing Newspapers, Inc. The Ladies’ Association of Conwell-Egan (L.A.C.E.) Catholic High School in Fairless Hills sponsors fundraising events and supports school activities throughout the year. 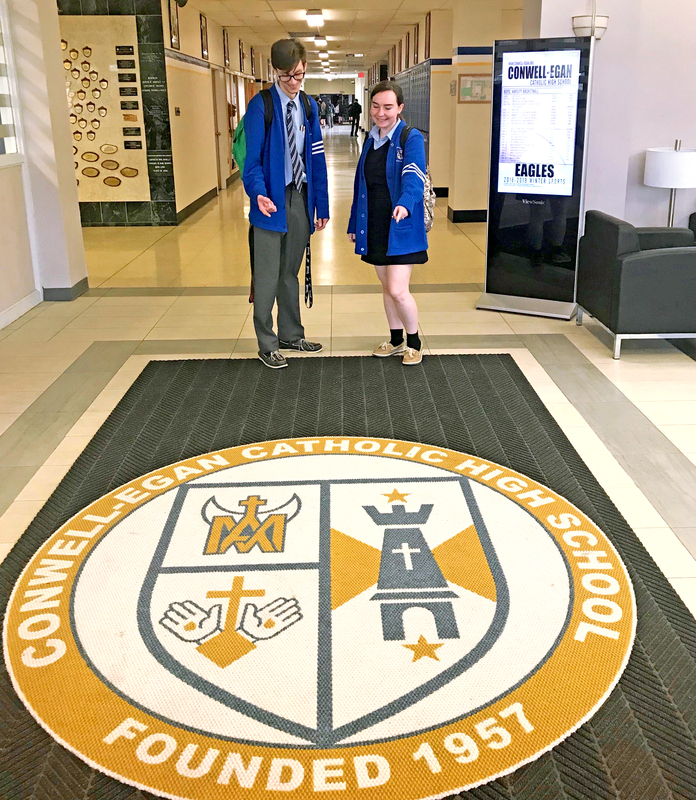 Membership is open to all women that currently have a student(s) attending Conwell-Egan Catholic or alumni and supporters of Bishop Conwell, Bishop Egan or Conwell-Egan. Funds raised are frequently used to make improvements to the school’s facilities and campus. For example, last year L.A.C.E. raised more than $8,000 to install custom rugs for four entrances in the school. The group raised $22,000 for the digital sign in front of the school on Wistar Road that informs the community about upcoming school activities. The group also raised $9,000 to purchase and install six new environmentally friendly water fountains located inside the school. L.A.C.E. recently worked with students from the EAST Program to help fund cell phone charging stations in the cafeteria. L.A.C.E. also provides snacks, refreshments, water ice and pretzels for numerous school activities and events. *Sunday, February 24th, 2019 – Casino Bus Trip to Atlantic City. This event sells out every year! Contact Sharon at 215-791-2942. *Sunday, March 3rd, 2019 – Annual Spring Craft Fair features over 100 vendors, crafts, food, refreshments, bake sale, raffles and gift baskets. Contact Linda at 215-778-4873. *Friday, May 10th, 2019 – Mother/Son Dinner Dance at Falls Manor for Conwell-Egan students and their moms. Contact Maryanna at 215-208-5810. *Sunday, November 3rd, 2019 – Annual Fall Craft Fair features over 100 vendors, crafts, food, refreshments, bake sale, raffles and gift baskets. Contact Linda at 215-778-4873. *Thanksgiving Pie Sale – Order pies throughout October/November. Pick up pies at CEC on Tuesday, November 26th, 2019. Contact Maryanna at 215-208-5810. The group meets at the high school on the first Wednesday of every month (except January). Dues are $5 per school year. For information, visit https://conwell-egan.org/lace or e-mail lace@conwell-egan.org. 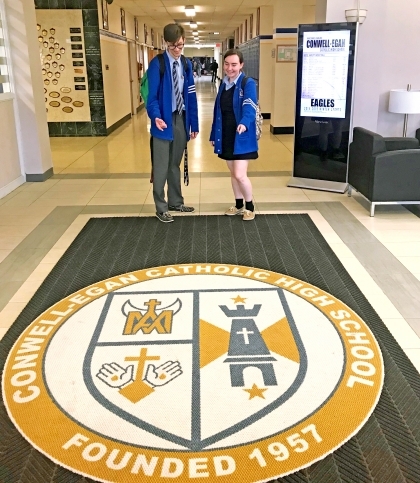 PHOTO CAP: Conwell-Egan seniors, Erik Kleinfelder and Abbey Magee, admire the new entranceway rugs donated by L.A.C.E. to the high school for the current school year.